On this day in History, the world remembers a remarkable man who continues to impact our society. For 10 years he fought long and hard to conquer equality battles and human rights, so we will too! 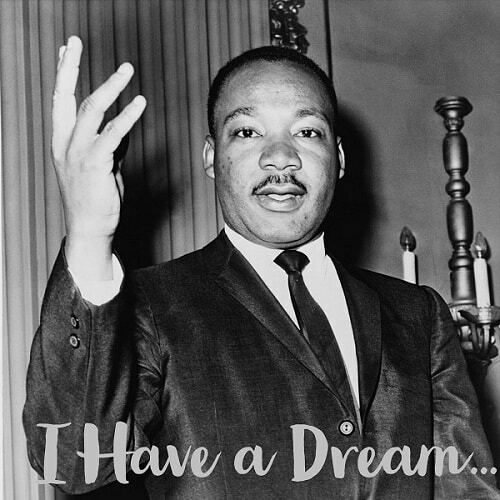 According to History.com, Martin Luther King, Jr. was a social activist and Baptist minister who played a key role in the American civil rights movement from the mid-1950s until his assassination in 1968. King sought equality and human rights for African Americans, the economically disadvantaged and all victims of injustice through peaceful protest. He was the driving force behind watershed events such as the Montgomery Bus Boycott and the 1963 March on Washington, which helped bring about such landmark legislation as the Civil Rights Act and the Voting Rights Act. King was awarded the Nobel Peace Prize in 1964 and is remembered each year on Martin Luther King, Jr. Day, a U.S. federal holiday since 1986. For this very reason, on the third Monday in January of each year, we will celebrate his fights and his life.